Americans research papers on the people that are citizens of the United States. Americans are people that are citizens of the United States. To be an American means that one’s home country is the United States. Due to the rich ethnic diversity of Americans, one’s ethnicity has very little to do with whether or not one is an American. Americans are generally westernized, meaning that their culture is from Northern or Western European immigrants. There is also a large African American cultural influence in America along with a growing Mexican American culture. A rich part of the history of the United States is the American Dream. Part of what it means to be an American is measured by how well or poorly one has achieved the “American Dream”. This realistic sense of the American Dream as offering a fighting chance, but little in the way of certainty, is shared by many who immigrate today and this includes people who are upwards bound, people already in the professional class or, by virtue of their ability to gain an education, most likely destined for professional status. Presumably the term “opportunity” in America means “opportunity to realize the American Dream.” But we may perhaps say that today’s American Dream comes in two flavors. For educated immigrants, or those in the process of gaining an education, the term means access to the benefits and perquisites enjoyed by members of the American middle class. For others—say, those who come across the Mexican-U.S. border in the southwest—the American Dream is probably simply an opportunity to fight for something better than bare subsistence and a chance to live in a better regulated, more stable, society than the one they are leaving. It is to be noted in this connection that, in a Gallup poll taken in 1995, a poll that had as its subject immigrants’ perception of the American Dream, Latinos were the only group who reported that they felt they were safer from crime in the United States than they were in their country of origin. A better life is the goal of all immigrants, but the content of the Dream depends on the holder’s circumstances, the socioeconomic “floor” from which they start. But, whether immigrants are relatively affluent and potentially upwardly mobile, or whether they arrive with nothing, both groups seem to have realistic expectations of what might be possible in the new society. The American Dream is much less “dreamlike” than it was in the 19th century. Hispanic Diversity research papers discuss the American Hispanic Community and the political, social and religious differences. 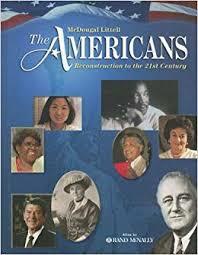 Melting Pot Research Papers study the people that make up the United States. Paper Masters writes custom research papers on Americans and look into the people of the United States.